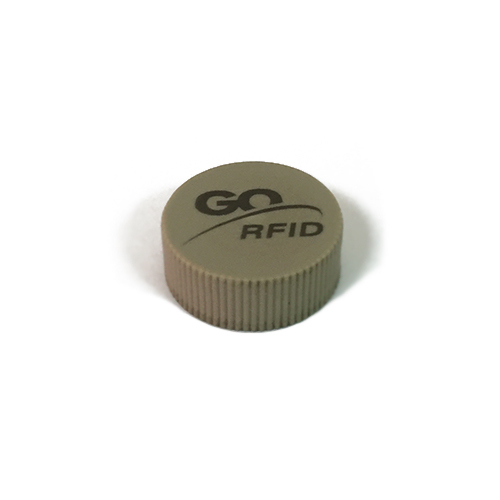 Full range of frequencies allows to read and write any RFID tags. 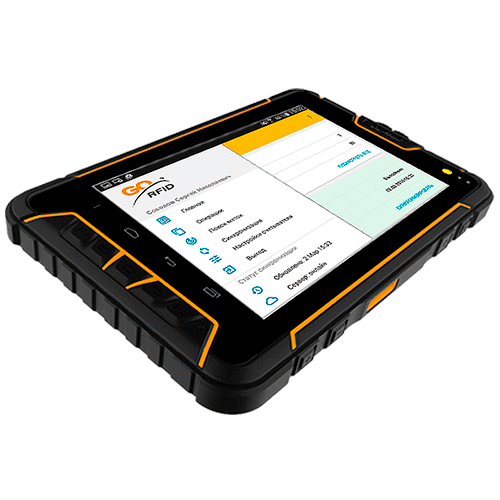 Model ST907 possesses protection rate from moisture and dust IP67. It guarantees full corpus waterproof and provides device immunity not only to water jets, but also to water logging up to 1 meter depth. Producer guarantees tablet working capability after 1,2 meter falling on a firm surface. Works at -20 and +50°С, keeping temperature is -40 and +60°С. Huge-volume internal memory allows to storage at the device crowds necessary data (goods stock-lists, warehouse operations information, accounting or repair objects photos etc.). 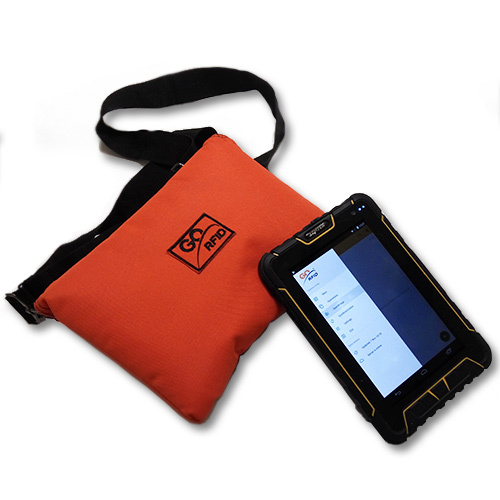 Sputnik navigation provides current positioning of accounting objects during performing of warehouse operations. USB OTG (On-the-Go) makes possible to connect a crowd of peripheral devices (printer, keyboard, monitor, computer mouse, flash drive etc.) immediate to the reader without computer. 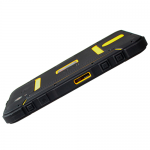 Lithium battery provides more than 3 weeks of work in the standby mode. 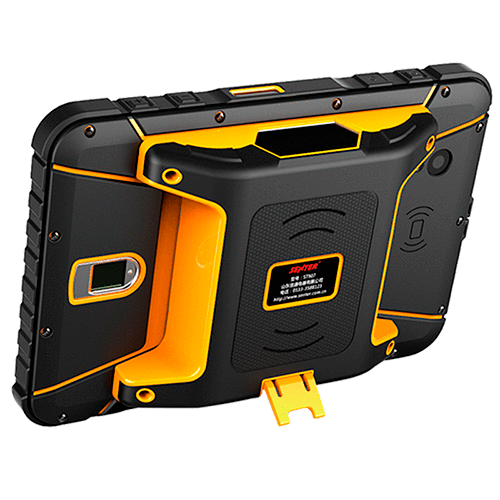 8 MPx camera allows to make accounting or repair objects photos and peg them to the objects cards immediate from the device Online. Microphone allows to use IP-telephony function or other voice communication for connection between operator and headquarters. 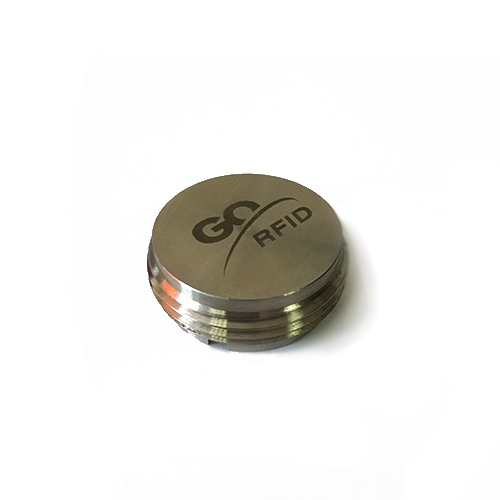 An RFID tag for oil and gas drill pipes. 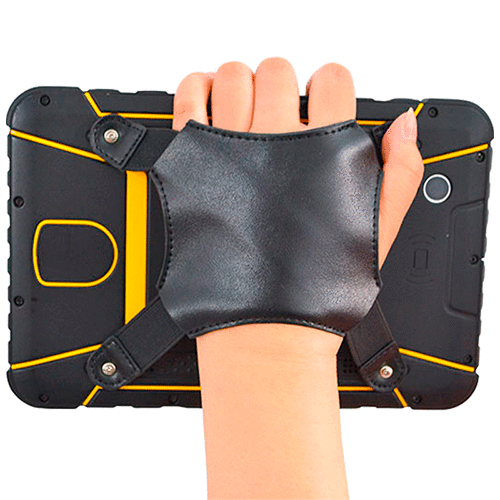 Features: light in weight, rugged cased, compact dimensions and mounting in metal.